The Compact Gas Control Panel shall be an Amico Alert-2 series. 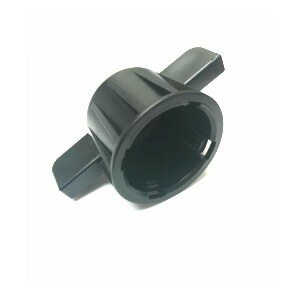 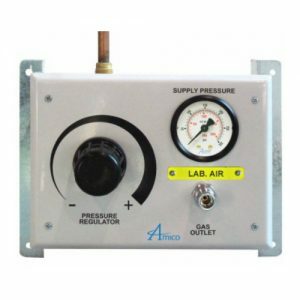 The Compact Gas Control Panel shall consist of a carbon steel coated plate, pressure regulator, inlet pressure indicator, DISS outlet adapter, gas specific lamacoid and internal copper tubing sizes 1/8″ (3.175 mm) and 1/4″ (6.35 mm). 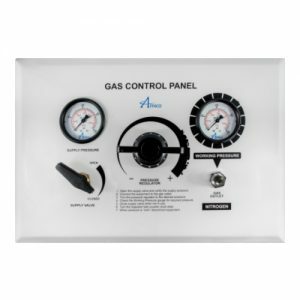 The plate shall include a color coded label to indicate which gas the control panel was designed for. 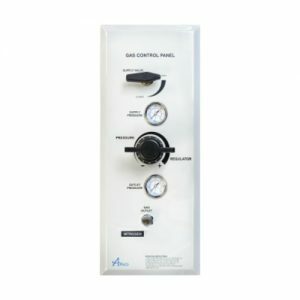 All Gas Control Panels shall be factory tested and cleaned for intended gas service. 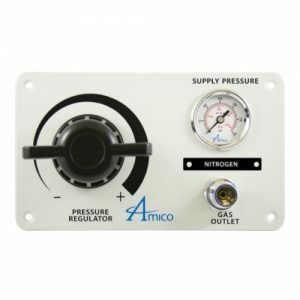 Amico products shall comply with CSA Z7396.1.